Republican leaders to hold their own election-night events to avoid party's big price tag. Lennie Mahler | Tribune file photo Utah Republican Party Chairman James Evans, center, may end up having few big-name GOP candi Lynn DeBruin | AP file photo U.S. Rep. Jason Chaffetz, R-Utah, says he's not going to pay to attend his own victory party. " 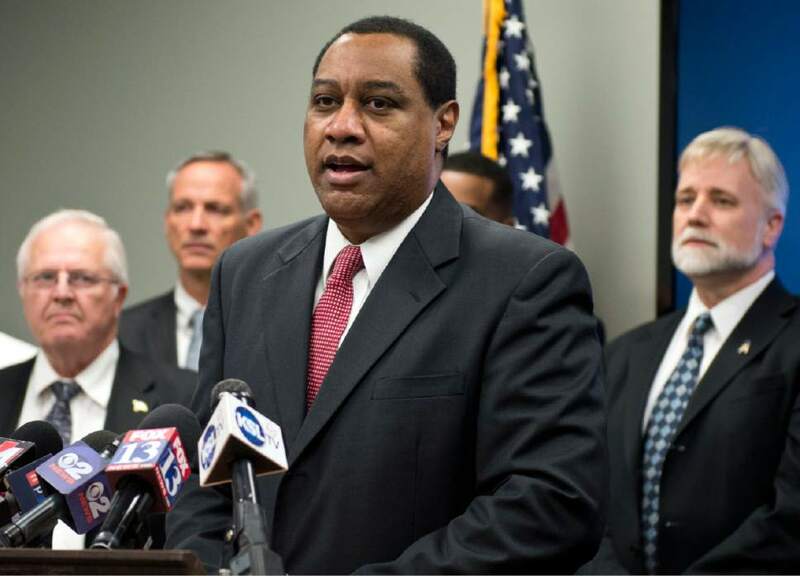 Lennie Mahler | Tribune file photo Utah Republican Party Chairman James Evans, center, may end up having few big-name GOP candidates at the party's election-night bash because of attempts to charge campaigns to attend. Lynn DeBruin | AP file photo U.S. Rep. Jason Chaffetz, R-Utah, says he's not going to pay to attend his own victory party. "At Chuck E. Cheese at least they give me game tokens," he says. Just as it has done since at least 1980, the Utah Republican Party is planning its big election night victory bash for Nov. 8, but this time the party might be missing a key ingredient ­­ the winning Republican candidates. The GOP has booked the top three floors in the reception area at the University of Utah&apos;s Rice-Eccles Stadium for the event. But the state&apos;s top political figures are skipping the celebration because the party wanted the elected officials to pay as much as $10,000 each to attend. 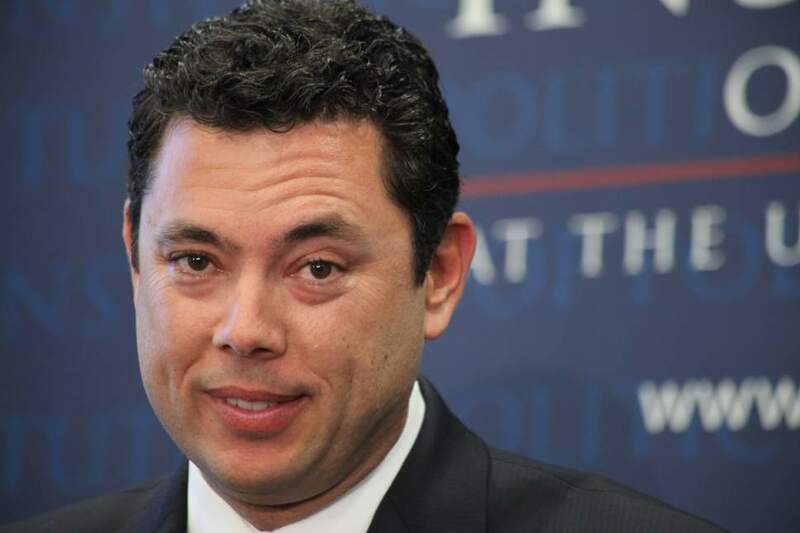 "I&apos;m not paying to go to my own party," said Rep. Jason Chaffetz. "At Chuck E. Cheese at least they give me game tokens." What&apos;s more, the party flirted with the idea of charging $25 for anyone who wasn&apos;t a guest of the respective campaigns to attend  but it abandoned that idea after meeting harsh resistance. Sen. Mike Lee is hosting his own victory party at Noah&apos;s in South Jordan and will be joined there by Rep. Mia Love. "We were asked by Mike Lee if we wanted to join him, and it&apos;s in our district and it&apos;s easier for our volunteers to get to," said Dave Hansen, Love&apos;s campaign manager. Jordan Hess, who is running the Lee campaign, said the first-term senator had booked Noah&apos;s for his campaign kickoff event, but had to cancel when he learned that presidential candidates Ted Cruz and Carly Fiorina were planning to come to Utah to campaign. That left Lee with a credit that his campaign decided to use for its election night victory party. "We rented the huge room at Noah&apos;s that can fit 300 or 400 people," Hess said, "and with the credit it&apos;s actually going to save us money." Gov. Gary Herbert hasn&apos;t made election night plans, but campaign manager Marty Carpenter said he is looking at other options for the election night celebration. And Attorney General Sean Reyes will also be elsewhere that night. "It&apos;s not that we don&apos;t want to have an election night gathering for our volunteers or others who have been associated with the campaign," said Reyes&apos; campaign consultant, Alan Crooks. "We just don&apos;t need to be writing a check for the amount that has been requested. … We support the Republican Party, to be sure, but the reality is that it doesn&apos;t seem like the right thing to do." The scattered victory celebrations offer another potential benefit to the candidates: Staging separate events may provide a modicum of privacy, away from media outlets on the night that votes are tallied for Republican presidential nominee Donald Trump. Lee, Love, Chaffetz and Herbert have said they will not endorse or vote for Trump. Last week, the Utah Republican Party&apos;s finance director, Joni Crane, sent an email to the campaigns, outlining options for the candidates, ranging from $2,500 for a small suite and up to $10,000. She was hoping that Sen. Orrin Hatch, along with Herbert, Lee and the U.S. House and Senate candidates, would kick in at the $10,000 level. For that maximum contribution, campaigns would get a suite, up to 40 guest wristbands  before the party decided not to charge guests  recognition on the television screens at the event and free parking. In addition to the statewide and federal campaigns, the party was hoping to persuade the state House and Senate Republican caucuses to each kick in $10,000 for the event. The party has to cover the cost of the election night bash, Evans said, but the additional charge to the campaigns is only if they want private suites or other amenities  similar to how campaigns have rented suites and rooms in hotel victory celebrations. It is only different this time, he said, because it&apos;s at Rice-Eccles Stadium. "That&apos;s just the pricing if they want to have extra. But if they want to just show up, they can do that," Evans said. "If they&apos;re thinking they have to do that to be there, that&apos;s not the case." The Republican Party is so badly strapped for cash that debt collectors have been making calls trying to get paid by the GOP. It is a consequence of big donors who have refused to give to the party because of its lengthy legal battle over the Count My Vote legislation (SB54) that allowed candidates to get on the ballot by gathering signatures rather than going through the GOP convention. Attorneys who handled the Count My Vote case, Evans said, have filed court documents declaring that they put in about $306,000 worth of work on the case and are seeking to have the state pay some of the bill. The GOP chairman said he has promised donors that only money given to the party specifically for the legal fight would go to pay lawyers. All the other money is dedicated to electing candidates. Right now, the party has $111,000 in outstanding bills, Evans said, but it has $145,000 in "receivables," commitments from big-donor members of the party&apos;s Elephant Club and Chairman&apos;s Circle.